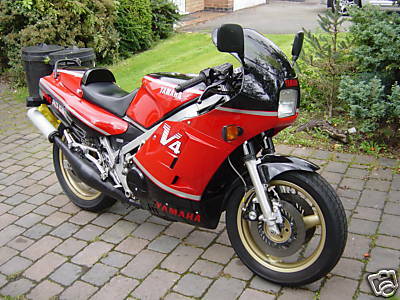 Launched - 1984-1987. 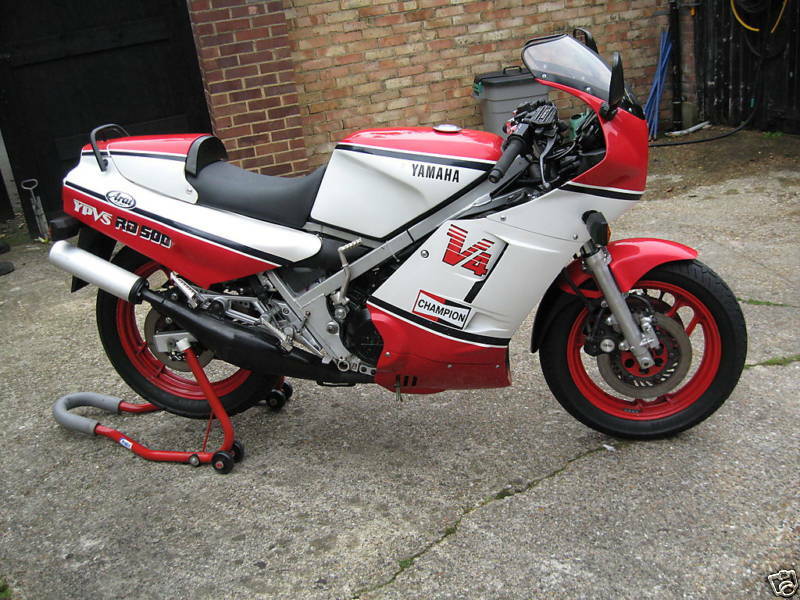 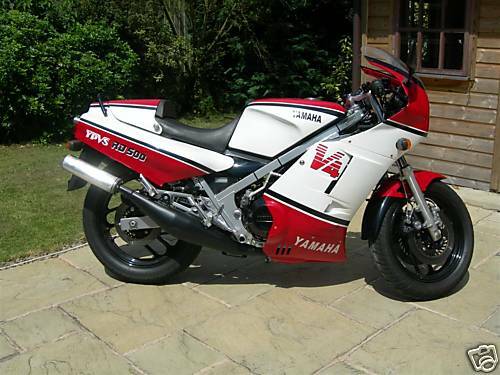 More info..
1986 Yamaha RD500LC Unlike the RG500, the 1984 RD500 was more style over substance. 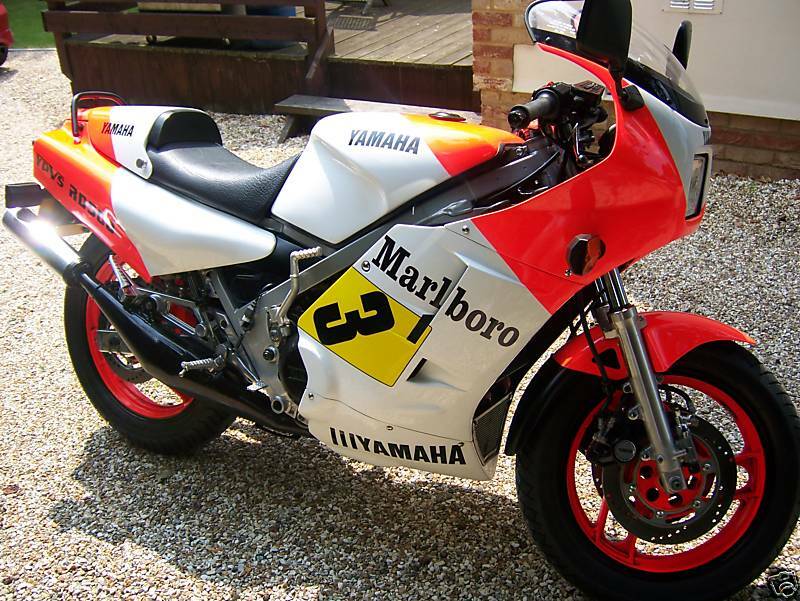 Kenny Roberts may have appeared in the ads at the time but its performance could never match the Suzuki's. 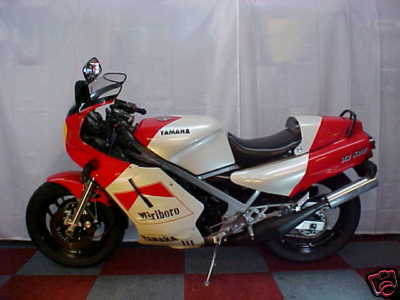 You could even buy it in Marlboro colours. 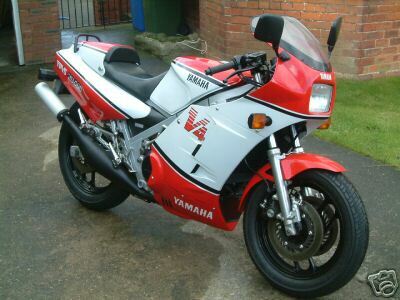 1986 Yamaha RD500 YPVS 1GE. 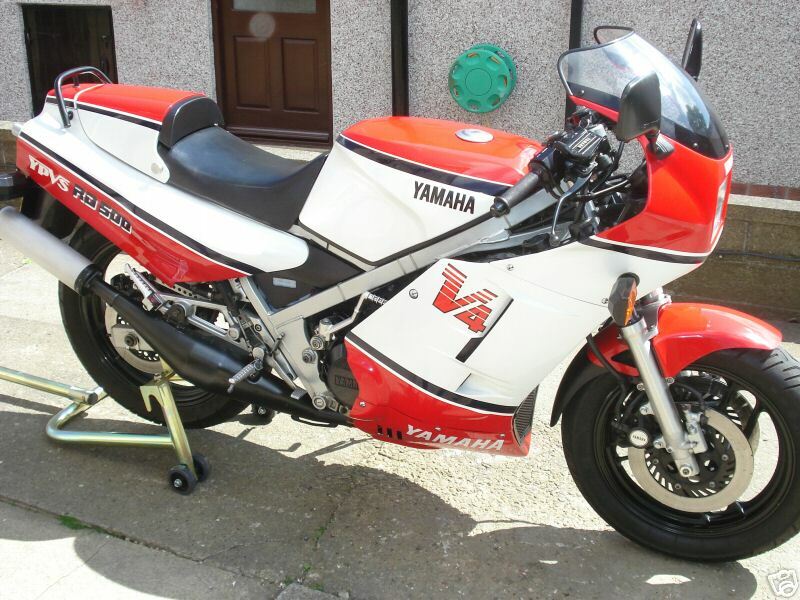 1987 Yamaha RD500 1GE German import.